For a person who knows what slots are about the title may seem like an oxymoron. After all, there's no strategy you can apply to better your chances at slots, is there? Whether you pull the lever with your right hand or left one, or whether you scratch your nose or not while the reel are spinning, it's all the same to the mathematical side of the game. Regardless of what superstitions you have, you won't be able to change the outcome. Now then, that is all correct and makes perfect sense, however, I'm here to tell you that in fact there are things you can do to increase your chances of winning. Slots are generally negative EV games (as are all other casino games too), which means they work with a built-in house edge. In layman terms, the house stands a better than 50% chance to win on every spin and you stand a less than 50% one. Exactly how much the house edge and the house drop are is irrelevant for the purpose of this article. The bottom line is, theoretically, how fast you lose your money only depends on how long you play and on the size of your initial bankroll. The variance is what makes these games so appealing to the public despite the EV- they come with. 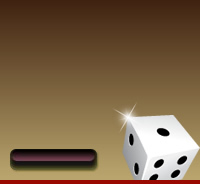 It makes it possible for a player to win a fortune on a single spin, or to lose one. The EV- put aside, the variance will sometimes work in your favor and it will sometimes work against you. In slots, where progressive jackpots are common, playing for as long as you can, should always be your goal. Make sure you play the number of coins which offer you the best payout in case you hit the jackpot and play on. The best way to make sure you're there for the long-haul is through bankroll management. Proper bankroll management will also safeguard against slots becoming a harmful addiction instead of a pleasurable pastime. First of all: make sure you keep a separate bankroll just for playing slots. That's right, no messing around with the rent-money or cutting back on the groceries because of your slots addiction. Just set your limits and make sure you stick to them. Your overall slots budget should then be divided into separate session bankrolls. Only use one of these session bankrolls for each of your slots sessions and make sure you don't stick your hand into the cookie-jar in the heat of the action. You may also divide your bankroll according to the number of slot machines you want to play on. Say you have $500 for this purpose (you have to be prepared to lose this money as that'll often be the case indeed and you're not looking to acquire gambler's depression on its account) and there are 5 slot machines you'd like to play. Dividing your roll into 5 $100 chunks would make perfect sense in this case. Also make sure you're a member of the casino's slot club. Slot club members get valuable comp points for playing, and that works like rakeback in poker: it'll further diminish the house edge.